EmmyRose has your stationery needs all wrapped up! 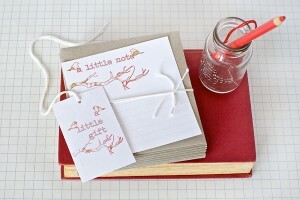 EmmyRose has launched their sweet stationery shoppe, filled with the prettiest paper products. EmmyRose owner Emily Anderson’s attention to detail and fine graphic design, along with her use of eco-friendly elements, results in a divine range of wedding invitations, calendars and gift tags to choose from. Shop their entire range here . Congratulations on a beautiful site!